Razer have unveiled another concept prototype at CES, and as far as I know, this one hasn’t been stolen. Of course, there is still time for an elaborate Ocean’s 11-style heist to occur before CES closes its doors. 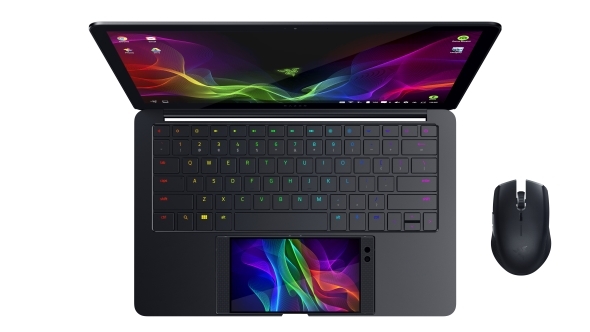 Nevertheless, the new concept, named Project Linda, is a laptop husk that contains a Razer-Phone-shaped hole right in the centre of it. Ready to bump your clockspeeds? Here’s our overclocking guide to light the way. Razer aren’t shy of showing off some of their more extravagant concept designs. Last CES they brought along Project Valerie, a triple-monitor ultrawide gaming laptop – although they never left with it. At CES 2018, Razer have brought along their mobile/laptop hybrid that essentially docks their recently released and aptly-named Razer Phone right into it. The phone replaces the mousepad within the laptop’s native design, and works as a dynamic screen and trackpad for the machine once docked. The laptop dock itself features a 120Hz 13.3” screen, so the phone’s speedy refresh rate doesn’t go to waste. This screen is also touch-enabled, offering even more flexibility for input. While Project Linda is a ‘traditional’ laptop – in its hinge operation only – this may be to the design’s detriment, as the tablet-like dimension gained from a two-in-one design could be another feather in Project Linda’s cap. The keyboard features Razer Chroma RGB and has been specially tweaked for mobile controls. While Razer are committed to this being the ultimate mobile gaming peripheral, it may find its true purpose within the productivity sphere. Of course, that requires the product to actually go on sale at some point. Razer’s concept projects are certainly useful tools to garner interest in their CES coverage, but possibly little else beyond that. Perhaps the most useful feature of Project Linda – but likely least interesting by comparison – is the integrated power bank that will charge your phone while in use. The laptop base seamlessly becomes a charging and storage hub once the Razer Phone is inserted – thanks to the 200GB of onboard storage. Project Linda seems a little more polished in execution than last year’s Project Valerie, but even so, I doubt there is a considerable market for this exact application at retail to justify a full launch – the Razer-Phone-only approach is a very limiting factor to the potential user base. 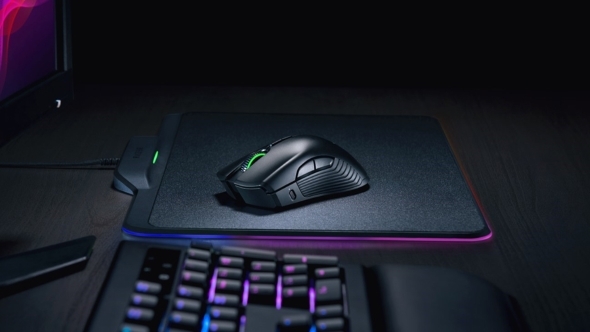 Razer also announced their own wireless charging mouse and mousepad combo at CES – the Mamba and Firefly HyperFlux. Their HyperFlux wireless power technology joins the other wireless charging tech that has taken centre stage for many peripheral companies as of late. It also gives Razer a handy excuse to add even more RGB to a mouse mat. 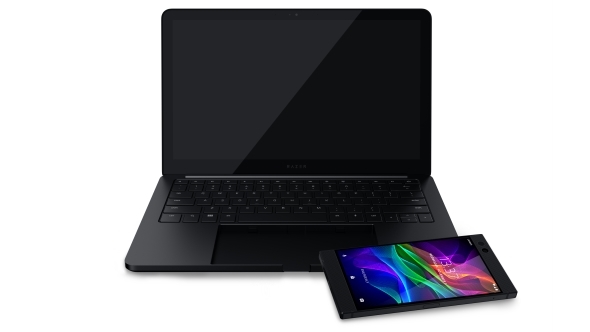 The hybrid laptop/phone dock is an interesting idea that Razer are flirting with, and not one that other companies have not attempted to tap into already. CES 2018 bought with it even more discrete GPU enclosures, such as Zotac’s Amp Box Mini, and the idea of docking your mobile devices into another to bump their versatility or performance is constantly gaining momentum among manufacturers and users alike. Who knows, maybe there is hope for a Linda-esque product yet?